Big mountain competitions are where I got my start in this crazy life I lead. 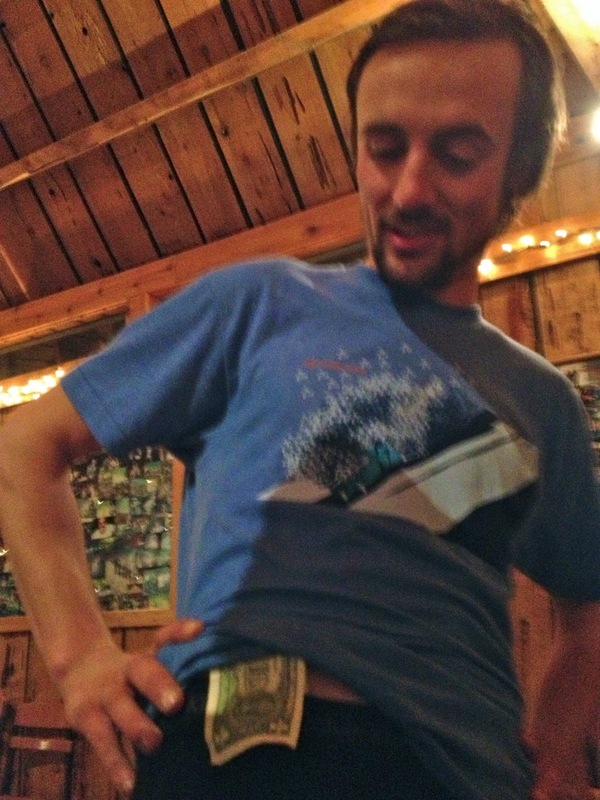 I went to a competition at Crested Butte back in the day and did well enough to start picking up sponsor support. Ever since that first year I have been in love with the competition scene. So much of my ski world came together as a result of the friends and experiences I made at competitions. As such, I am an ardent supporter of them to this day. I have evolved into the cagey old veteran in this professional freeheel game. I am no longer willing to throw down in any conditions like competition skiers must do. All that aside I am honored to be a judge at the competitions now. It is a thankless and surprisingly difficult job, but I am stoked to give back to the game that gave so much to me. 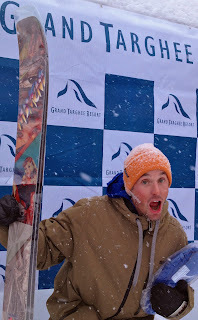 ^In this photo I am getting amped to drive up to Grand Targhee Resort for their Telemark Big Mountain Championships. It is a pretty quick drive from Salt Lake City, and I was stoked to make it. ^I had been flying all over the globe for a month straight and it was kind of nice to travel road trip style for a change. The road can be a peaceful place. ^Some young guns checking out their lines. ^The point man, Andy Williams, overlooks his efforts leading into day one. 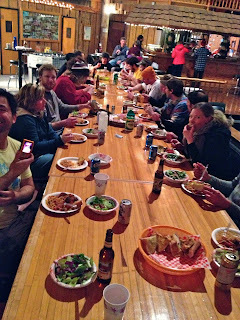 Andy is the unsung hero of the Grand Targhee competition. He is the one that makes it all come together. Every successful effort needs a guy like him, and I am super thankful that we have him in our corner. Cheers, Andy! Andy had some invaluable assistance from new Driggs locals and telemark heroes, Jake Sakson and Paul Kimbrough. Jake and Paul are quickly becoming legends in this game. I was so pleased to see them pick up the torch and run with it. They organized a great crash pad, recruited skiers, gathered swag, and played a pivotal role in making it all come together. These two run the Beans and Rice Freeride website, as well as, just flat out crush big mountain lines around the planet. Good work fellas. ^There are five judges for these comps, and here are three of us. Right to left is me, Chris Valiante of 22 Designs, and Paul Velte who is also a former competitor. Nate Greenberg was the head judge, and Lizet Christiansen was the token female judge. Nate is super decorated in the game. He literally wrote the book on the Eastern Sierra backcountry, literally. Lizet has been a top notch competitor, and organizer for years in this game. I was stoked for a strong judging panel. ^The kids did not disappoint. They threw down some amazing lines. I get so amped up just watching these folks get after it. 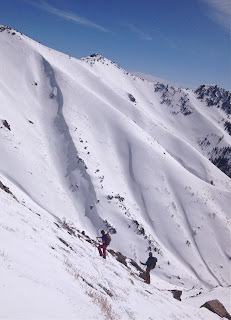 The skiing was super impressive this year in good conditions. They were flashing lines and going big. I was loving it as I danced around behind my clipboard with gitty excitement at the show the athletes were throwing down. ^The junior boys. I was especially proud of the first youngster from Ogden's All Mountain Rippers Club to compete. 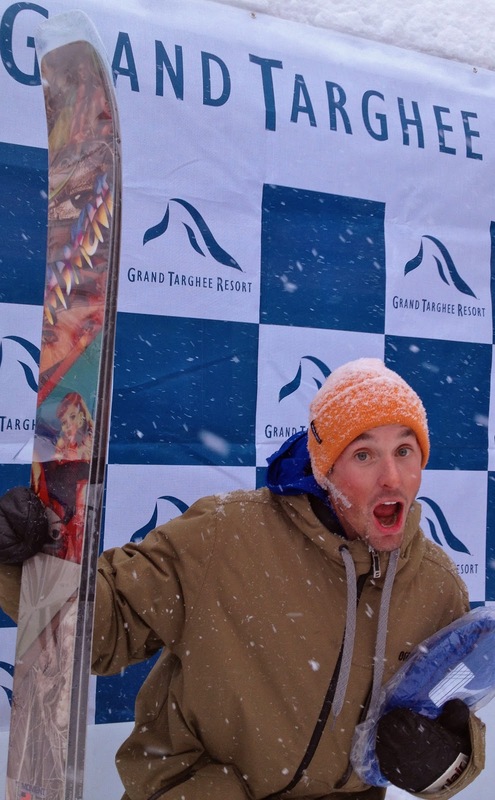 Ben Hayes came up to his first competition experience and laid down a fourth place finish. A kid's first comp is riddled with nervousness and uncertainty, and he handled the pressure like a champion. I am excited to see how well he progresses in the next few years. Ben's good buddy, Sage Wright, also from the All Mountain Rippers, came down with the flu. I was excited to Sage to compete with Ben, but I guess I will have to wait until next time to see the two of them team up together and crush it. I can't wait to see it. ^Tony Gill was the Sickbird. That's my boy! ^Only at a telemark comp do the athletes high five and break down a bluegrass jam session after the powder settles from their super gnarly runs. These boys get down. ^A telemark feast at the Teton Teepee. ^The beer starts flowing and the debauchery soon follows. 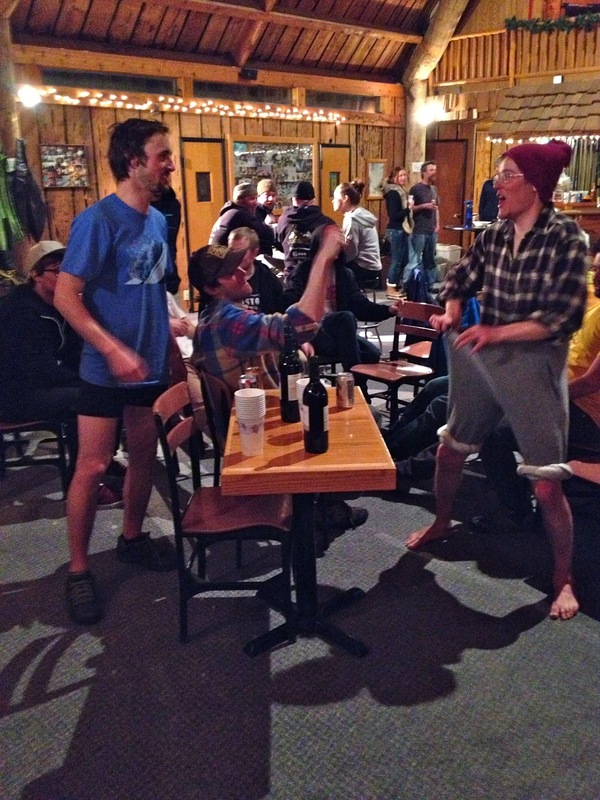 This is some sort of race between Telemark Skier Magazine pros, Andrew Schauer and Spencer Jonas. Yep, these are my teammates and the future of the mags team. I am not worried. ^Bar stool battle. Too funny. All in all, it was another great comp. These events are the lifeblood of this great sport. I am honored to do my part to help them remain vital, important, and thriving long into the future. It is the volunteerism behind these events that makes them happen. No one is getting rich or landing huge promotional deals from these comps, but it is the community around these events that makes them priceless. It is not all "bro brah" and exclusive in this vibrant scene. These competitors all band together, cheer each other on, and party with one another like the best of friends. That is what is so great about these comps, from first place to last place each and everyone one of these folks are flat out genuinely good people. The kind of people I am so pleased to call my friends, all of them.